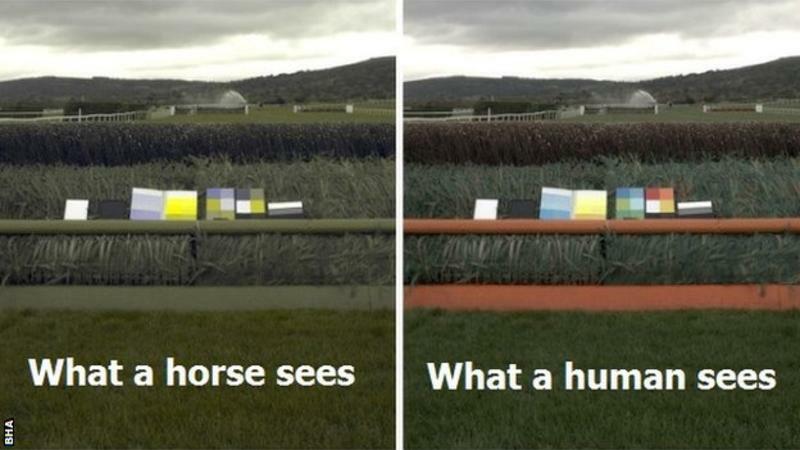 What colors can horses see? 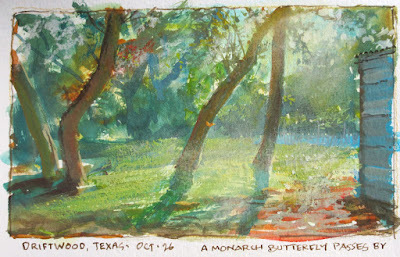 From the porch of our rented house in Driftwood, Texas, I paint the morning light on the grass. (link to Facebook video) If you listen closely to the recorded sound, you can hear Jeanette whisking scrambled eggs in the kitchen. I'm using gouache, first transparently and then with more opacity. For some of the bright light effects, I use a hard pastel called Nupastel. Today, Monday Oct. 29 at 6-7:30, I'll be giving an illustrated talk at the University of Texas at Austin. It's open to the public, but reserve your spot. 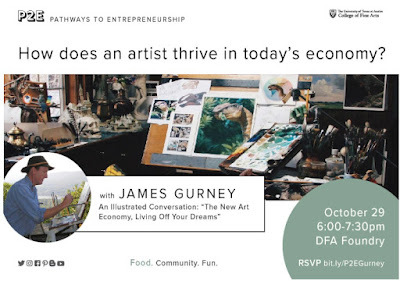 Tomorrow, Monday Oct. 29 at 6-7:30, I'll be giving an illustrated talk at the University of Texas at Austin. It's open to the public, but reserve your spot. 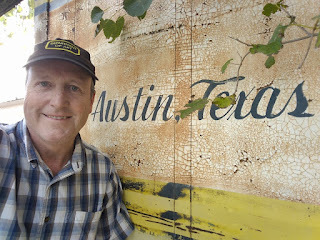 Yesterday in Austin, Texas, I had an inspiring tour of Powerhouse Animation Studios. I'm seen here with production directors Shane Minshew and Jason Williams, and co-founders Bruce Tinnin and Brad Graeber. Meet other members of the crew here. 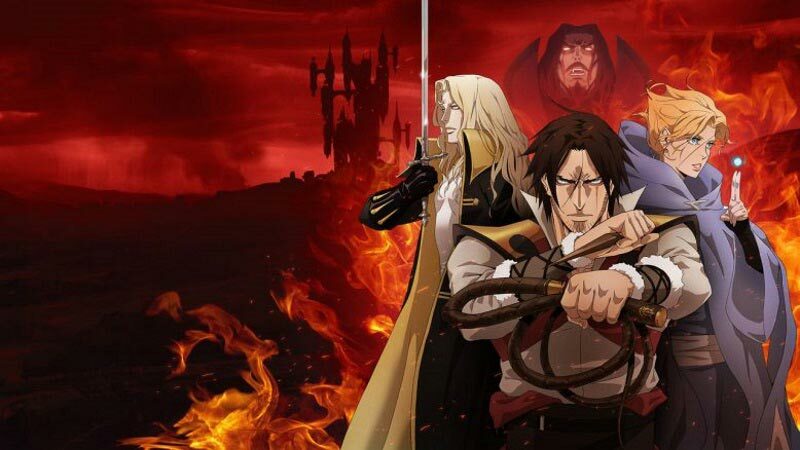 Powerhouse Animation is best known for the Castlevania series, which released its much-awaited second season yesterday. The first season was the most popular digital original series in the U.S. during 2017. 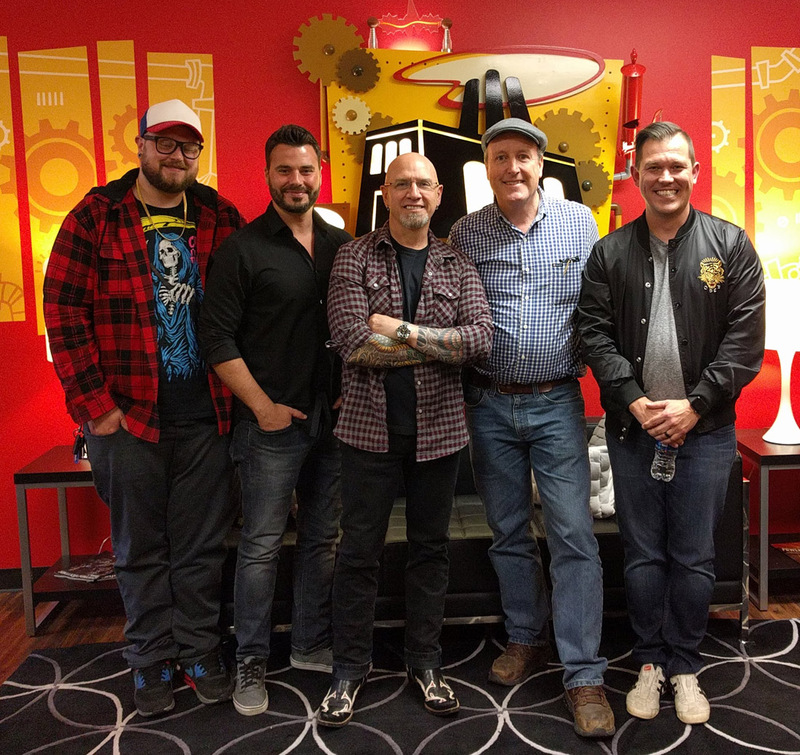 They also produce all kinds of other animation, including TV commercials, motion graphics, motion comics, and children's books, which keeps their crew of about 60 artists busy. The studio has a very friendly and creative vibe, with workstations surrounded by some of the most amazing toy / figurine collections. I asked them what they would like to tell art students about the reality of the animation business, and they said 1) know your fundamentals, and 2) be flexible with your style, and 3) keep your student films short. 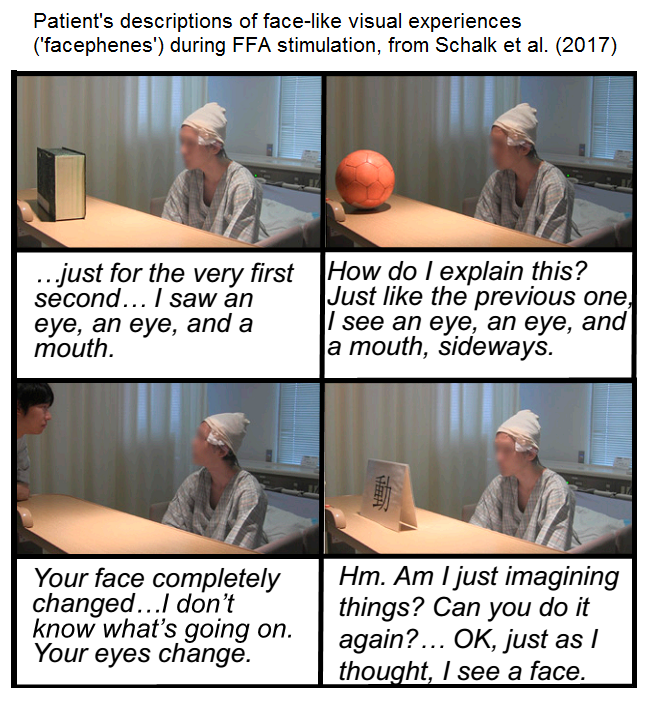 Facephenes are hallucinations of faces caused by stimulation of the face-recognition area of the brain. The patient was a epileptic Japanese man outfitted with a large number of brain electrodes to find the source of his seizures. He described the experience: "Your face changed completely," he said. “I don’t know what’s going on. Your eyes…change.” Sometimes parts of faces emerged, and at weird angles, and other times an anime-like character appeared over the background object. It appears that facial recognition skills in the brain are primarily situated in the lower, lateral areas of the brain, right next to areas that play an important role in color perception, so when the stimulation moved over a bit, rainbows instead of faces appeared. "The human brain handles several mental processes and cognitive tasks like the visual perception of the environment. Many studies investigated the role of individual brain regions during dedicated mental processes and tried to understand whether a specific brain region is exclusively engaged in such a process. In a recent study we partly answered that question by electrically stimulating the ventral temporal brain of a patient who underwent surgical treatment of epilepsy. Electrical stimulation of color- and face-selective sites, which were identified by means of visual evoked responses in the brain waves, affected only color and face percepts, respectively. 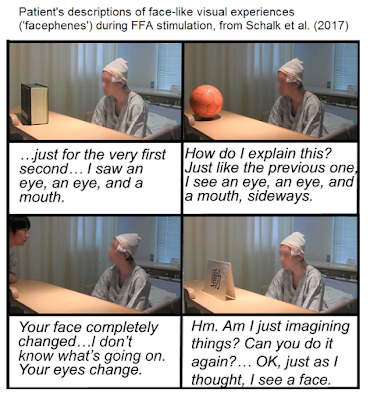 The reported symptoms included illusory faces on top of objects and changed perception of faces during stimulation of face-selective regions, and the appearance of illusory rainbows near color-preferring sites. These findings support the theory that the brain at least partly consists of specialized regions that are exclusively and causally engaged in a dedicated mental process." A key question posed by Neuroskeptic is whether the faces seem "superimposed over" the objects, or whether the objects appear to have the faces integrated into their forms. If they ever try an experiment like this on an artist, they'll get a much clearer description of the experience. 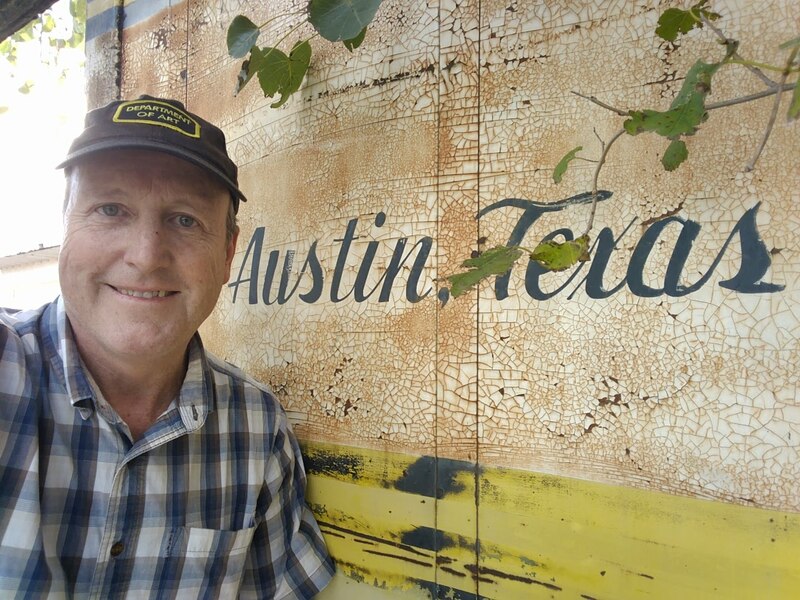 I'll be giving a talk in Austin, Texas on Monday. Open to the public, but reserve your spot. 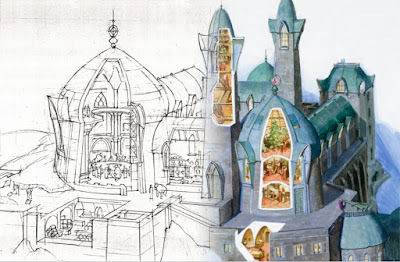 For this cutaway view of the mountain settlement of Thermala in Dinotopia's Forbidden Mountains, I work out the perspective and the architectural geometry before going in with paint. 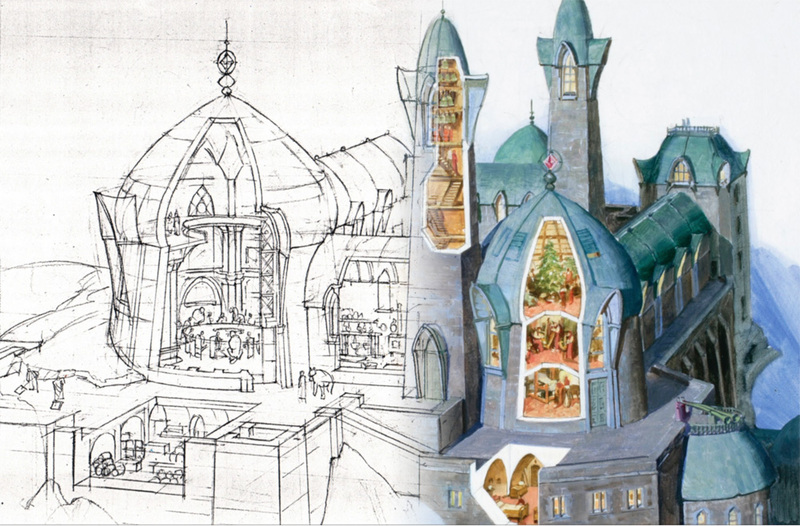 It's much easier to figure out intricate forms like this in pencil than it is in paint. I do the pencil drawing directly on the illustration board, and I make a photocopy so that I have a record of it. Then I seal the drawing with workable fixative and acrylic matte medium. I build up the oil paint in two or more layers over that underdrawing. The drawing gets covered up, but I have the photocopy to check against if I need to, and I can always remove the paint with solvent to return to the drawing if necessary. 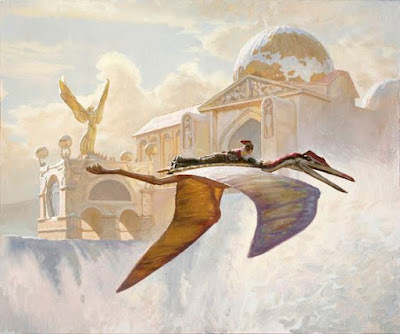 From Dinotopia: Journey to Chandara, available signed from my website or from Amazon. 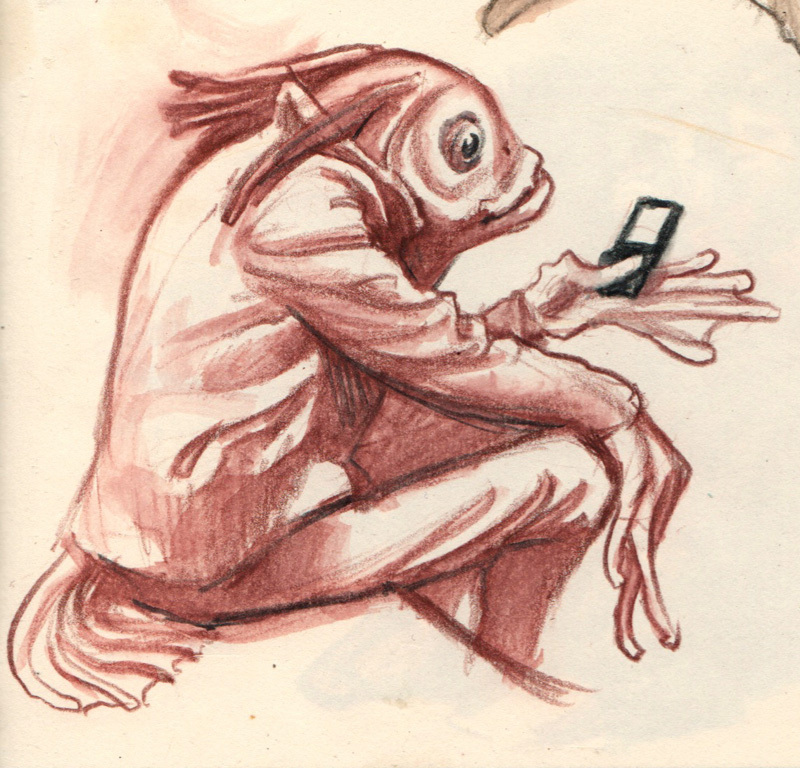 I'll be giving an illustrated lecture at University of Texas, Austin this coming Monday. To a fish, the tank is the universe. What aspect of your job do you like the most? The least? I like it all, truly. If you want to run an independent freelancer / self-publishing business, you have to be interested in all aspects of painting, teaching, social media, writing, marketing, and even mailing out orders. What are 3-5 practical skills that you find most useful? In addition to the art skills, it really helps to know how to write clearly, how to use a digital camera, and how to shoot and edit video. What are some of the difficulties you've had working in this field? If you're self-employed, as I've been for almost 40 years, the sources of income change from decade to decade. Art directors move on, publishers go out of business, and technologies change. That's OK, because new opportunities are always emerging, but we have to jump from one horse to another without dismounting. And we have to decide what what to embrace and what to discard. What advice can you give on setting professional goals? • Set achievable short-term goals, such as daily or weekly "Do Lists." 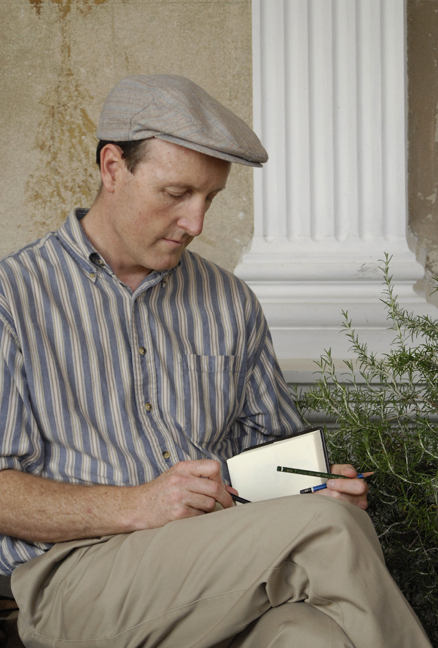 • Write down the long-range goals and start working toward them. • If something seems intimidatingly difficult, break it down into smaller, achievable steps. • Once you start something that you know is important, finish it. What advice do you have on handling rejection and failure? If you've been rejected, and the goal is important, keep trying. But you should always ask yourself if getting through someone else's gate is the best path. You may want to make your own gate. If you failed, you probably didn't do enough research or testing. Learn from your mistake and try again smarter next time. Do you remember that feeling you had when you were 17 years old, making art for the sheer joy and mystery of it? Try to arrange your life so you can continue living in that feeling, even with all the hassles that a professional life will toss at you. Make sure you have fun doing art. We're lucky to be artists. Who else could I speak with to gain information? Could you give me their name? It depends what information you want. 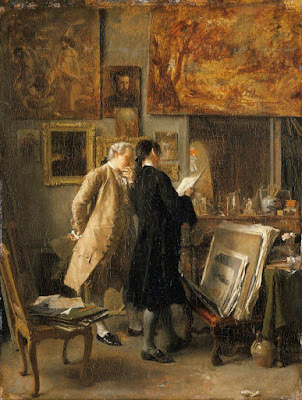 You can contact people who work at museums or libraries if you want to know more about science-based art. Do your research first online before you contact an expert so you know what to ask. 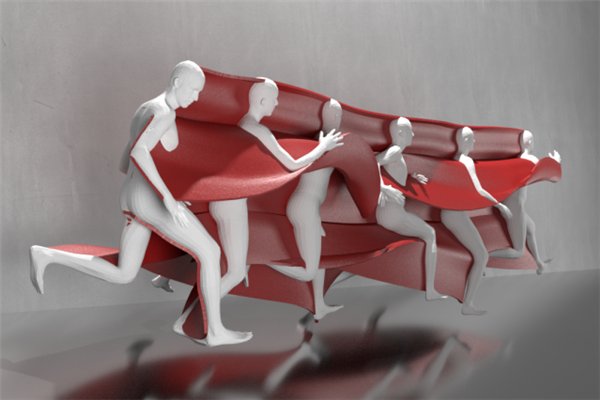 Animators, athletes, and dancers need to study and understand complex motions. But even when you review video footage, it can be hard to see exactly what's going on with all the moving parts traveling in three dimensions. MIT’s Computer Science and Artificial Intelligence Laboratory (CSAIL) has developed an algorithm called MoSculpt that creates a detailed 3D model of a broad movement. The software lets you choose various input and output parameters. 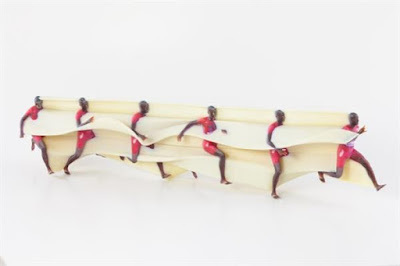 You can either rotate the 3D form virtually on the computer or print them out as an actual sculpture. The results resemble the 19th century stroboscopic photos and sculptures by Étienne-Jules Marey, which I discussed recently in the post on Chronophography. This is Snow White, a mixed-breed female hoping for a loving home in New York's Hudson Valley area. 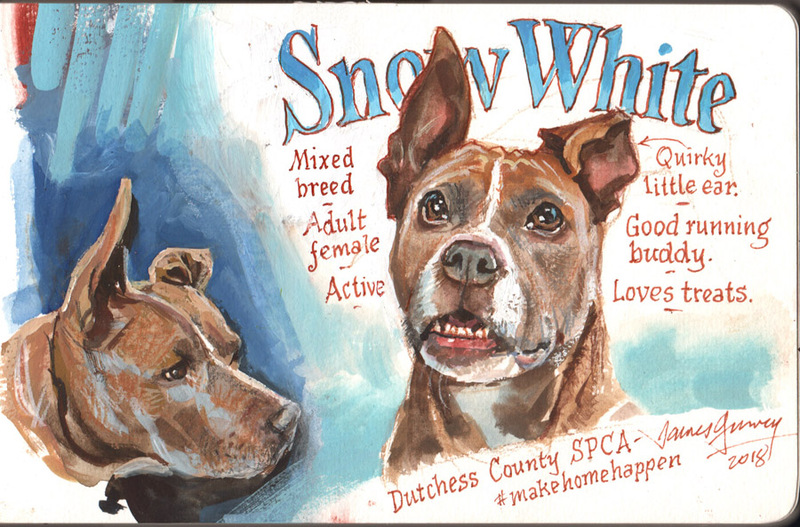 I sketched her in gouache at the Dutchess County SPCA. The idea was to practice some animal sketching and hopefully help a dog find a home. 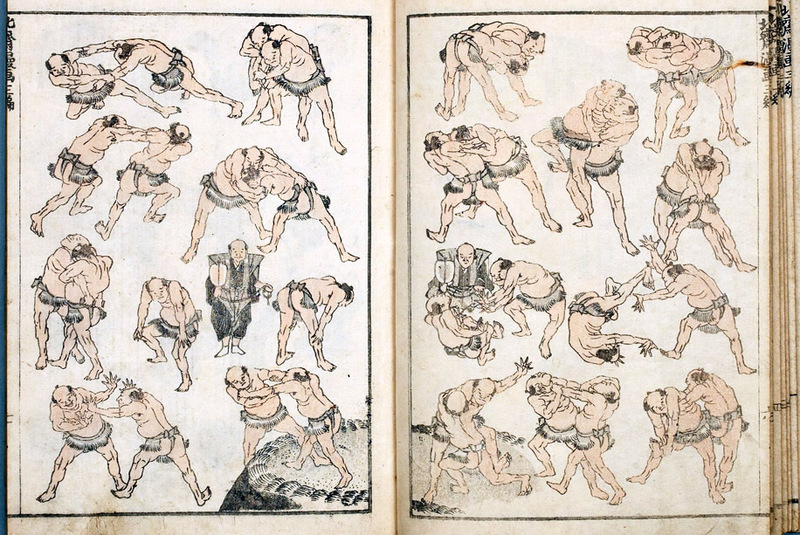 Hokusai's sketches of Sumo wrestlers are full of life and action. 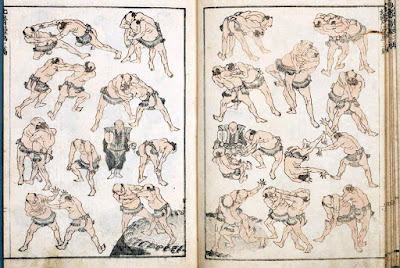 They date from the early 19th century and were created as block prints, part of a large collection of informal drawings known as Hokusai Manga. Every painting is a window to another world. More than that, it’s a record of the artist’s awareness of that world. It’s a document of reality as filtered through one person's consciousness. 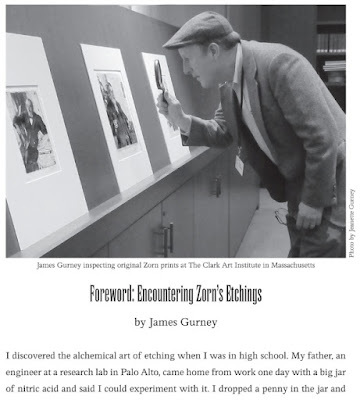 This way of looking at drawing or painting is based on the "filtering" or "gating" models of perception that have arisen in neurobiology in recent years. You might think of it as a modern way of expressing Emile Zola's 1866 idea that "art is a corner of nature seen through a temperament." Sensory gating theory proposes that we screen out the majority of information that surrounds us at any given time. The classic case is a cocktail party, where you focus on the conversation, while your brain discards the bulk of other sensory information. 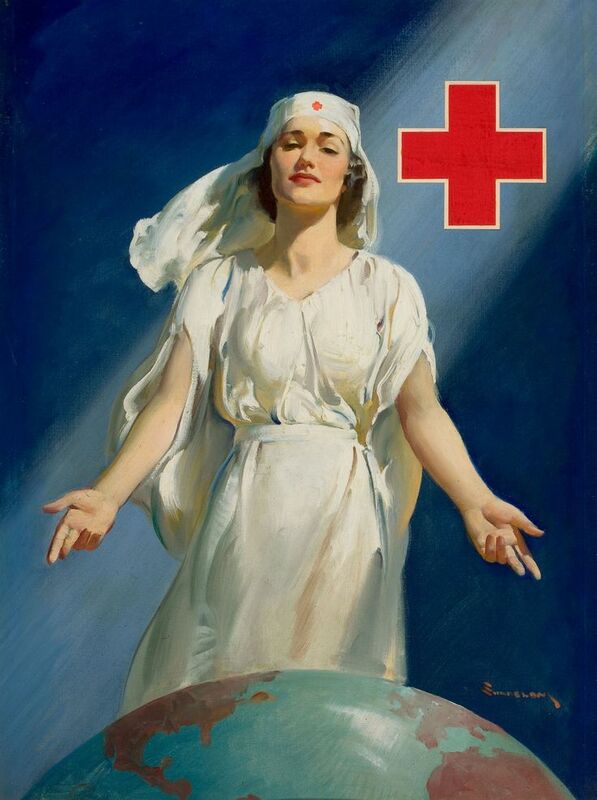 That other information is mere noise that might otherwise distract you from the signal. Another famous example of perceptual gating is the "Gorilla Experiment." In this demonstration, the observer is asked to count the number of times a ball is passed back and forth. While you concentrate on that task, other things happen that you might not even notice. In our normal daily life this gating is achieved for the most part automatically. But attention can be distributed consciously and selectively, especially with practice. 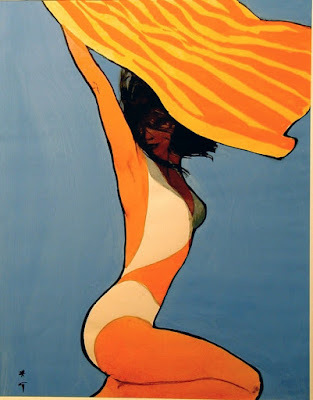 As artists, we learn to control the perceptual filters that we use, and we deploy them at will. Essentially, this is exactly what we're trained to do whenever we paint or draw. 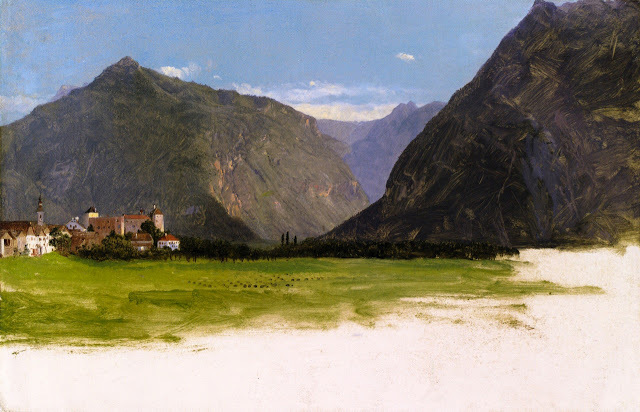 For example, at the beginning of making a picture, we gate our perception to notice only the perspective, the proportions, the relative measurements, and the slopes of the lines. During these early stages, we ignore such things as colors or edges or textures. As the painting progresses, we shift our attention to notice other aspects of the scene, shifting back and forth between noticing big shapes and small details. A classic beginner's mistake is to paint the eyelashes or buttons at the very start. In the midst of this process of filtering attention, we also enlist our emotions, because art-making isn't just a technical trick. We may have some personal connection to the subject. We might be looking for what pose is characteristic. Something might strike us as funny about it. Or the subject might impress us as scary or unsettling. Consciously or not, those emotions will drive choices of what elements we allow to pass through the filter, and what elements get filtered out. Whether the results are realistic or distorted, they strike viewers as "artistic" because we identify with the very human filters that the art has passed through. Art engages us in a kinship with each other because it allows us to pass through the doors of perception from one human soul to another. 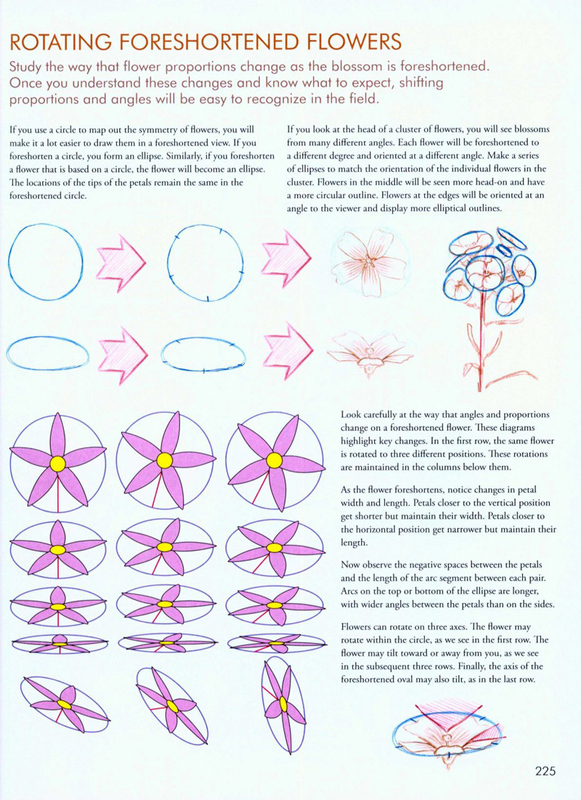 When you're drawing plants or animals, there are two major issues you have deal with: the mechanics of how to draw, and the understanding of what you're drawing. It's rare for an instructional book to offer a thoughtful approach to both of these areas, but The Laws Guide to Nature Drawing and Journaling does it. 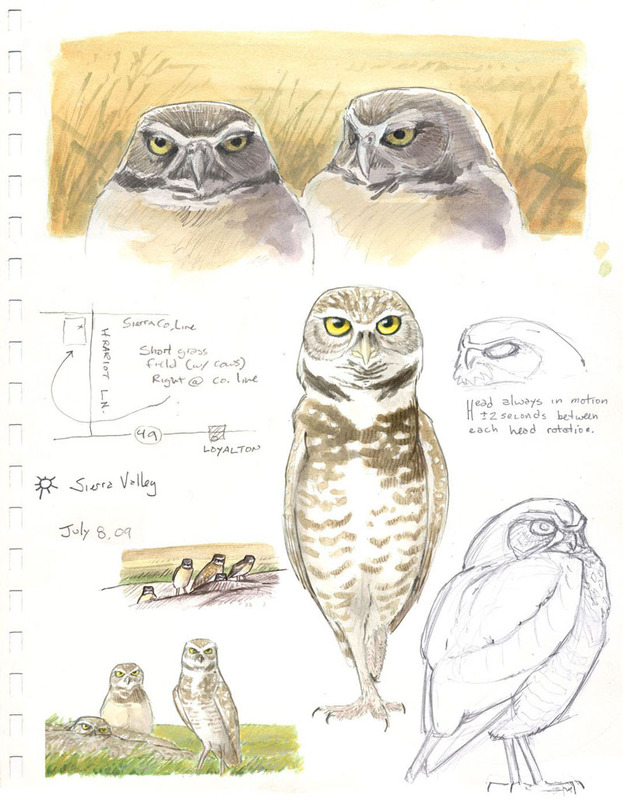 Artist and naturalist John Muir Laws breaks down the subject with a different sub-topic on each page, taking a fresh, comprehensive look at sketching and journaling from nature. He discusses how to focus your attention, how to think visually, and techniques you can use with pens, graphite, watercolor and gouache. 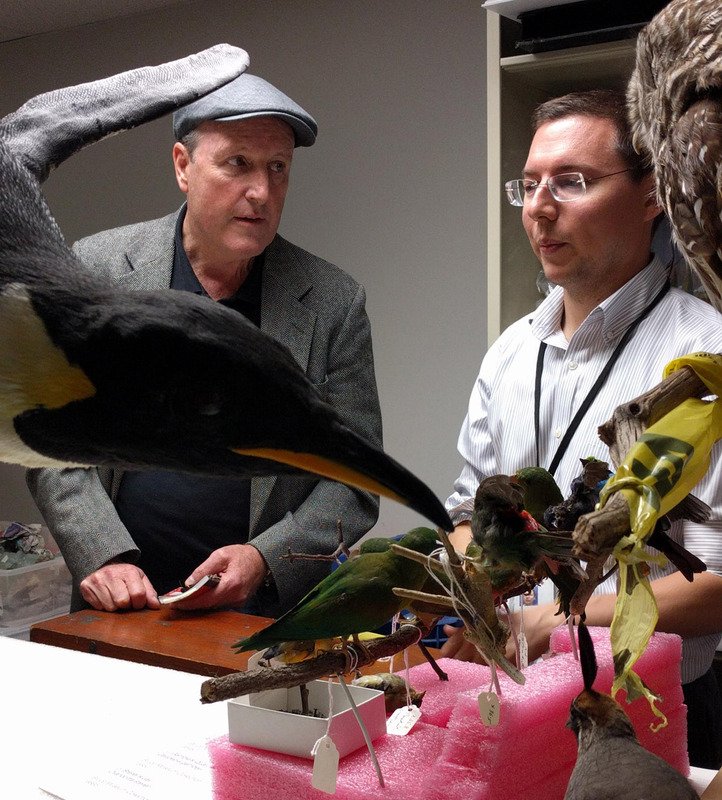 Whether you're an artist who wants to understand nature better or a naturalist who wants to draw, you can benefit from the structural insights into flowers, birds, and mammals that Laws offers. 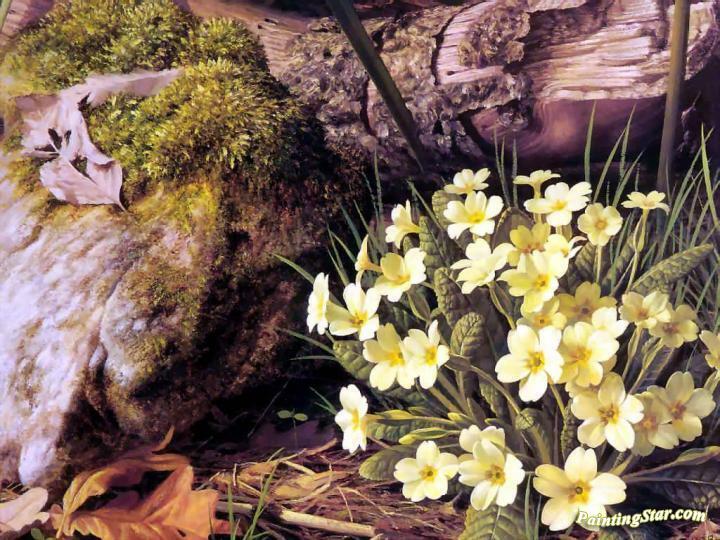 For example, he analyzes the symmetry of flowers and identifies the parts of mushrooms. It's all well illustrated with diagrams and step-by-step stages. After you read the book, you'll have a much deeper appreciation of the skeleton, the muscle groups, and the fur / feather patterns on a variety of species. 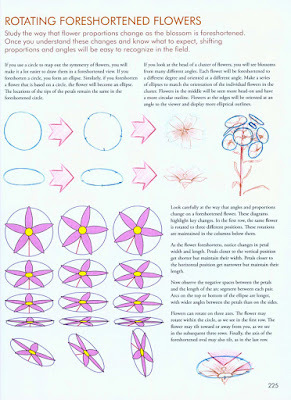 Laws has a special awareness of body posture and attitude, and how to sequence your drawing to capture it accurately. For the field observer, he is practical about what you can reasonably observe with your eyes and record from memory. 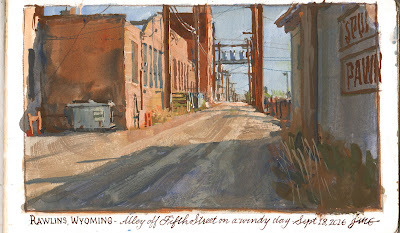 The emphasis of the book is on drawing from direct observation. If there's a shortcoming of the book, it's that he doesn't really adequately cover the pros, cons, and practical benefits that photography can provide. The Laws Guide to Nature Drawing and Journaling is 300 pages, softcover, with illustrations on every page. It lists for $35, but you can get a copy for $24.00 on Amazon. If you're specifically interested in birds, I'd also recommend The Laws Guide to Drawing Birds, which is a shorter volume that stays with just that subject. Note the pattern of parallel light and dark patches in the dirt road. I carried that pattern from the light into the shadow. Carrying a parallel color relationship like that from light to shadow makes the shadows more convincing. Raymond Booth (1929-2015) was a botanical artist who created meticulously realistic images of flowers. 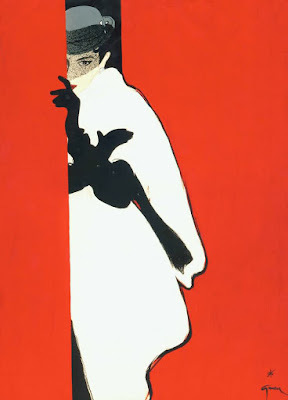 He grew up in England, studying at the Leeds College of Art. His technique documents the shapes, textures and structures of the individual leaves and petals. Booth's images typically show layers of detail, not only the foreground flowers, but the textures and details of the ground beyond. 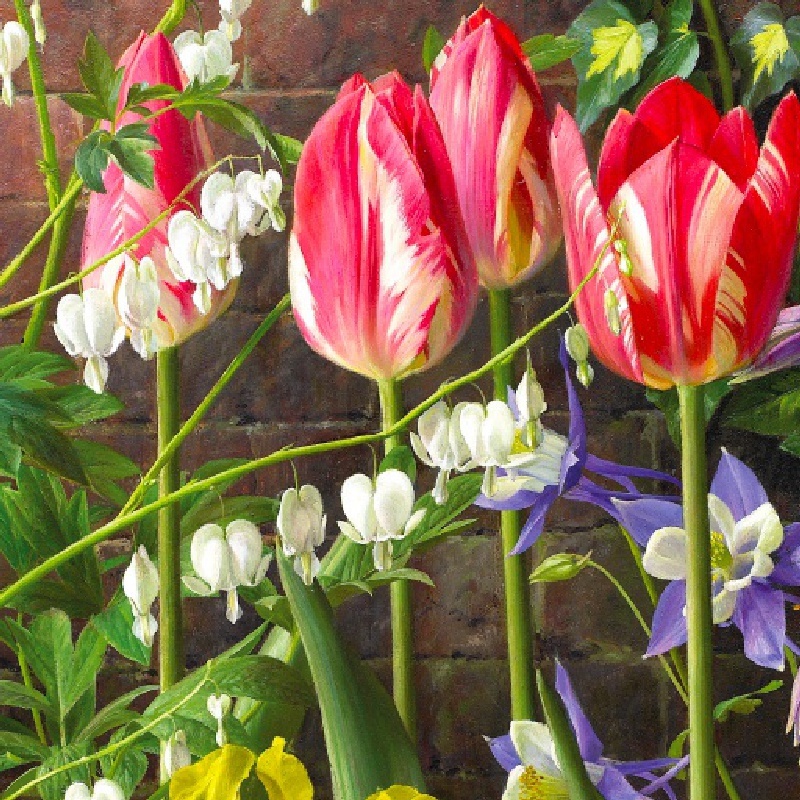 Most botanical paintings show the specimen against a simple white background. Booth was also an expert horticulturalist, raising exotic and unusual flowers in his own garden. He was an intensely private man. 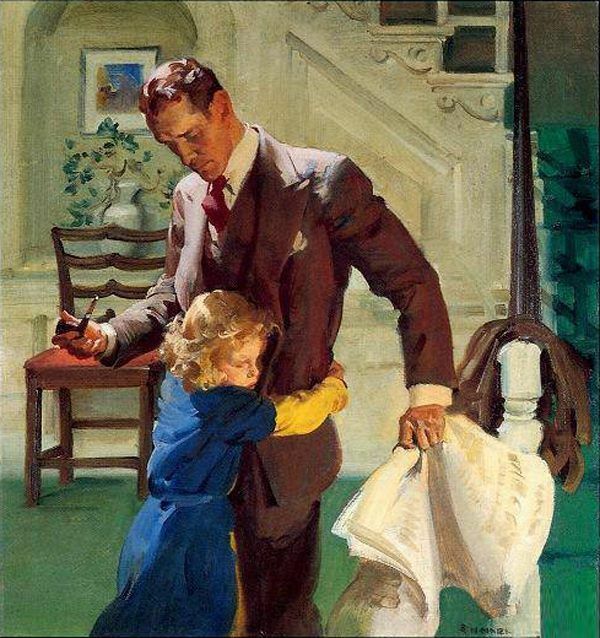 Not even his wife or his parents were allowed into his painting room. 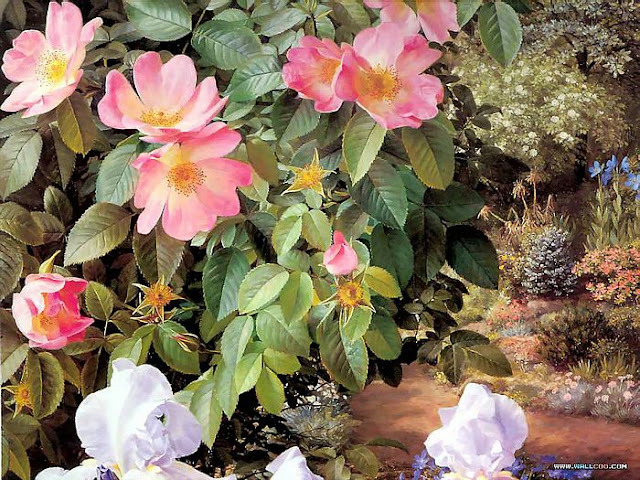 His magnum opus was the elephant-folio sized hardback book about the flowers of Japan called Japonica Magnifica, which includes 85 paintings, plus graphite drawings. 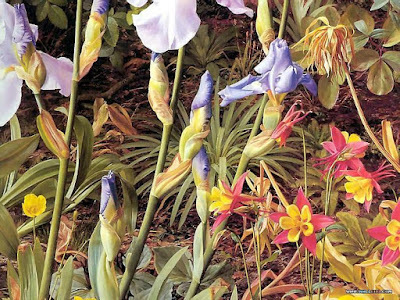 Another gorgeous production is the oversize book Raymond Booth: An Artist's Garden . A month from now, Dover Publishing will release a book on the etchings of Anders Zorn (1860-1920), for which I wrote an introductory essay. René Gruau (1909-2004) simplified his designs to the point of elegance. His father was an Italian count and his mother a French aristocrat. When they split up, he went with his mother to Paris, where he became a leading illustrator for haute-couture fashion designers such as Christian Dior. In the high fashion world, outfits are made by hand specifically for the measurements and even the stance of a given model. 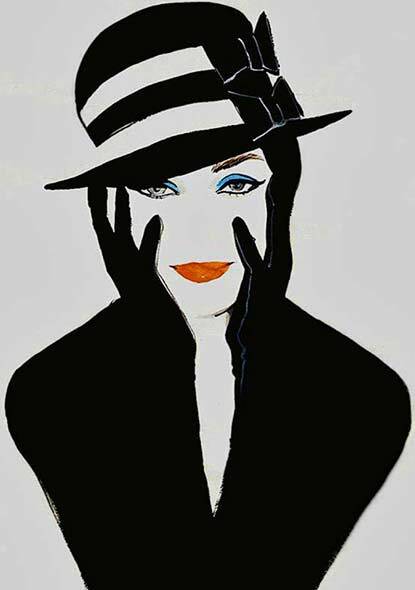 As early as the 1930s, magazines started using photography to represent fashions, so artists needed to come up with a distinctive look that photos couldn't compete with. 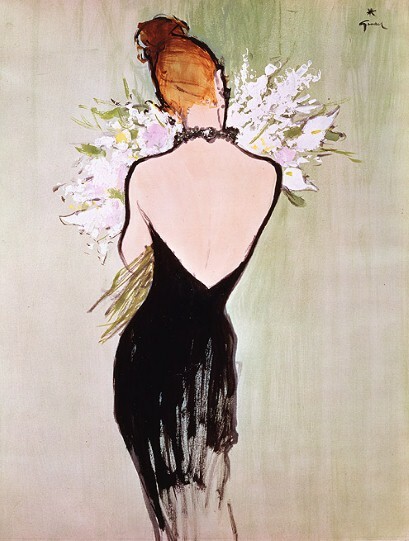 His artwork defined both the fashions themselves and the imagery used to market them. 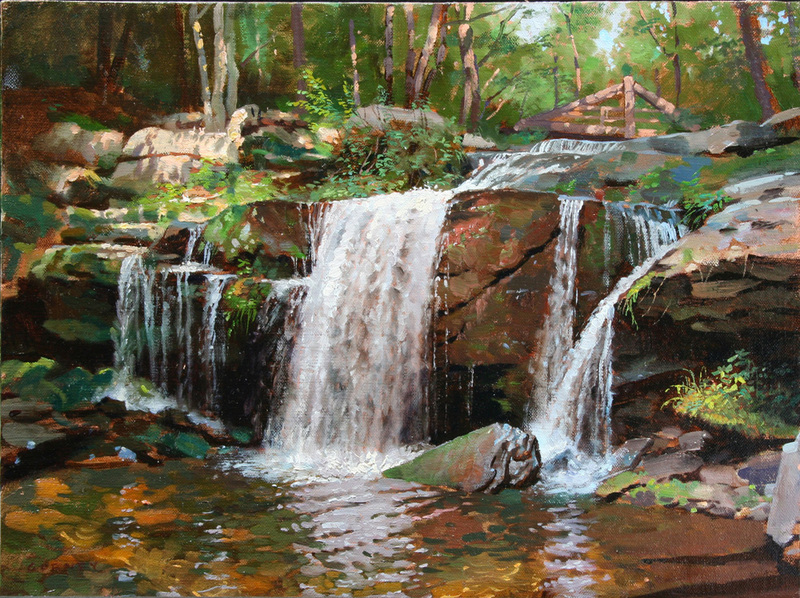 The Catskills plein-air painting “Old Mill Falls” is on exhibit now at the American Masters show in New York City through October 26. I’ll be there for the gala tonight, October 12. 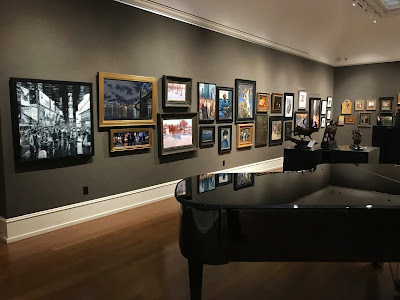 I'm honored to share the walls with a group of first-rate painters, such as Joseph McGurl, Christopher Blossom, Sherrie McGraw, Garin Baker, Don Demers, Adrienne Stein, and Quang Ho. I'll also be offering an important Dinotopia painting "Flight Past the Falls," which appeared in Dinotopia: Journey to Chandara. 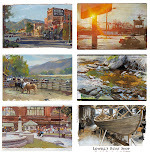 The American Masters Show is at the Salmagundi Club in NYC. 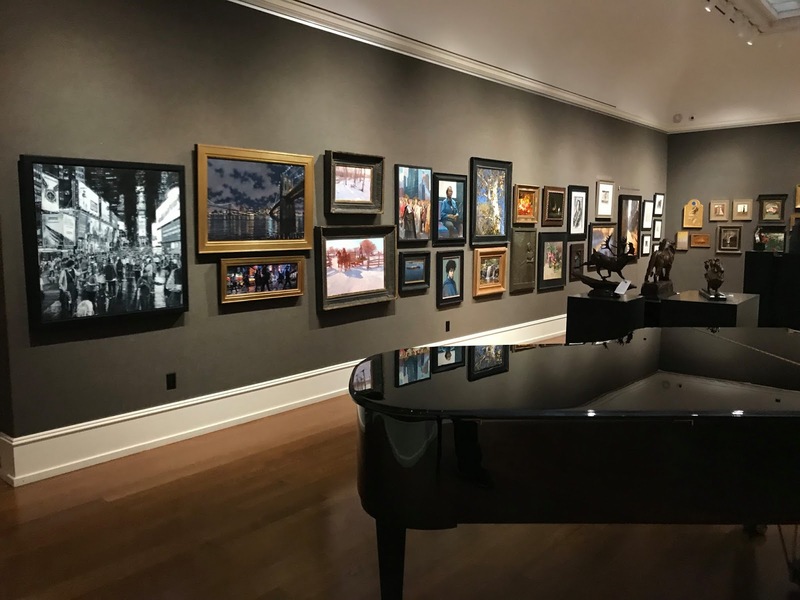 Those wishing to have the first opportunity to purchase artworks must purchase either a ticket to attend the Gala & Sale or an absentee ballot. The show will be up through October 26. 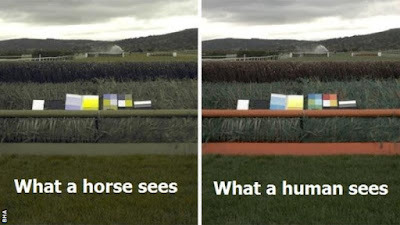 Horses don't see colors the same way humans do. Like other non-primate mammals, they can distinguish yellow and blue, but they can't tell the difference between red and green. a shade of green by horses as in the left image." Image courtesy BBC and BHA. Red or orange colors, commonly used for jumps, blend into the background from a horse's point of view. When takeoff boards are painted white and the hurdles are made a bright yellow, scientists at the University of Exeter discovered that the horse will jump farther. As a consequence, the British Horseracing Authority is revising the standard colors that it uses for the obstacles and frameworks. 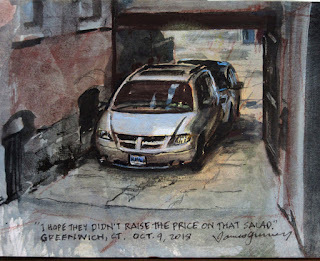 In Greenwich, Connecticut we stand up to sketch an alley with two parked cars. 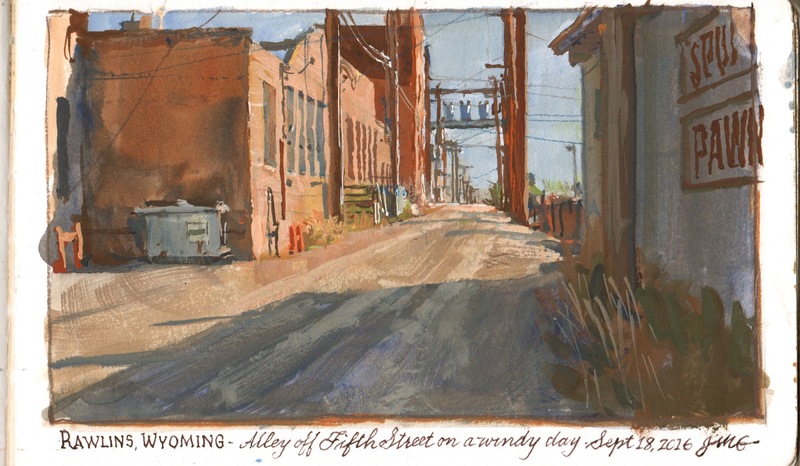 I like the way the alley goes down into shadow and then back into light in the distance. The casein underpainting color gives me cool borders and a warm center patch of light, and you can see the glow of that priming peeking through the final sketch. Thanks to everyone who came to the talk last night at the Bruce Museum, and to everyone at the Museum who hosted us. Thanks to everyone who attended the sold-out workshop last night at the Bruce Museum in Greenwich, Connecticut. 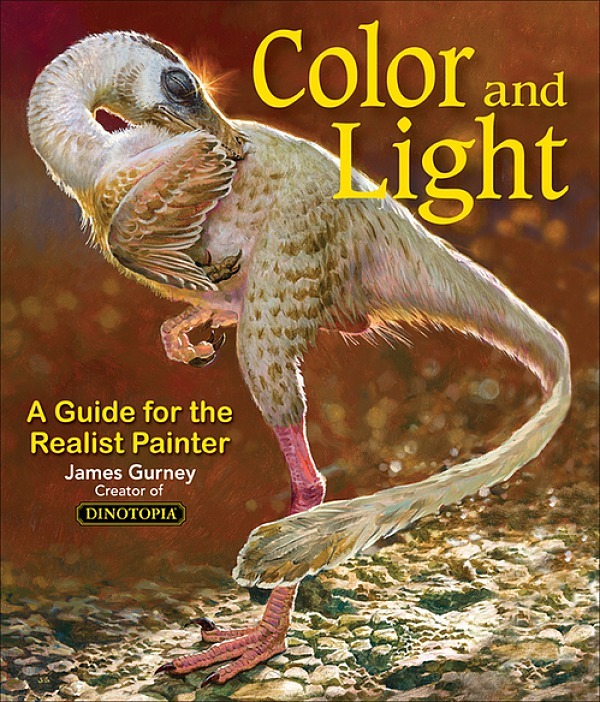 Tonight at 7:00pm I'll be back to give an illustrated lecture called "How I Paint Dinosaurs: Art, Science, and Imagination." Come at 6:30 for the reception, and stay afterward for the book signing. Reservations required. A new monograph on the art of Haddon Sundblom (1899-1976) is now available. 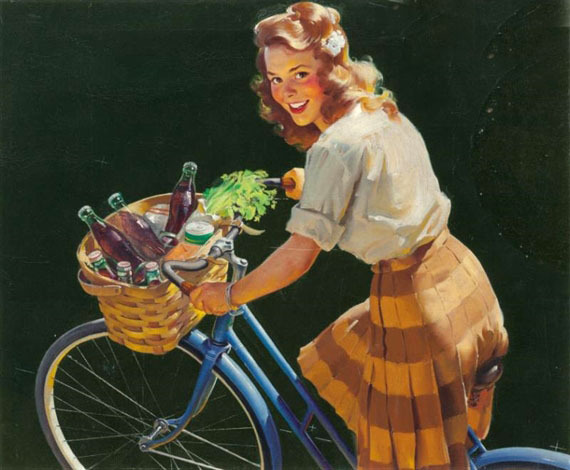 Sundblom was dominant in the field of advertising illustration, expressing the exuberance and confidence of mid-20th-century American society. The 224-page hardback monograph continues the splendid series from the Illustrated Press spotlighting notable American illustrators. Born of Swedish immigrants, Sundblom's cheerful, colorful oil paintings were influenced by Anders Zorn and John Singer Sargent. He was a famously fast painter, producing complete illustrations alla prima. 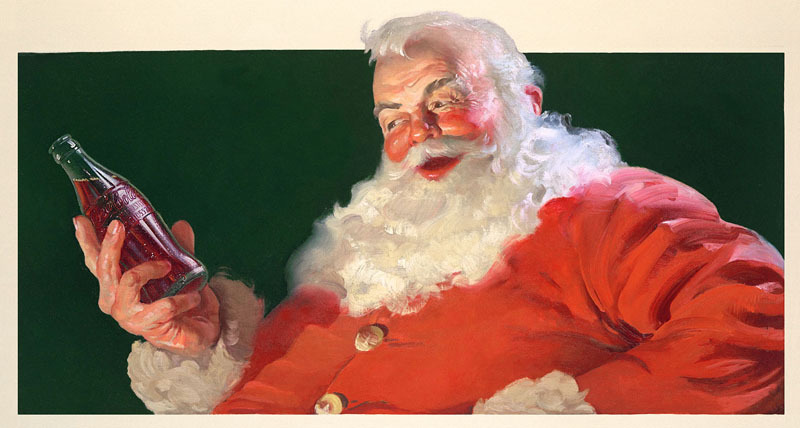 He is best known for his portrayals of Santa Claus for Coca-Cola, basing the character described in Clement Moore's original poem, but making the character more human-sized and rosy-cheeked. 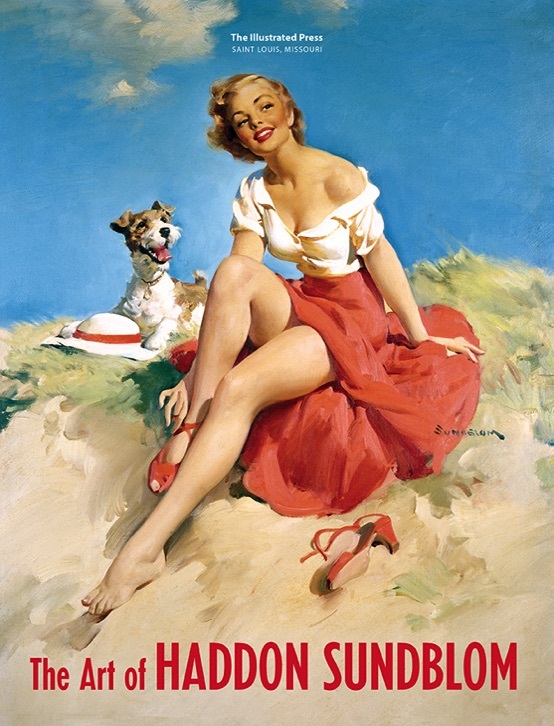 His neighbor posed for many years, and later the artist used his own face as reference. In addition to his advertising art, Sundblom made significant contributions in the field of dramatic story illustrations. He also influenced a generation of other illustrators in the Chicago area. His circle of friends, colleagues, and students included Harry Anderson, Andrew Loomis, and Gil Elvgren. 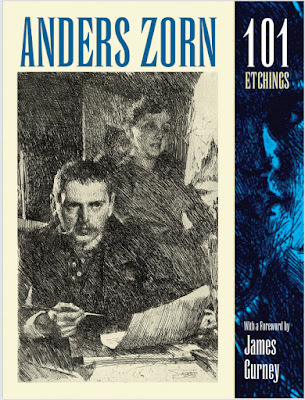 The book has a brief biography and 300 illustrations taken from both original art and tear sheets.